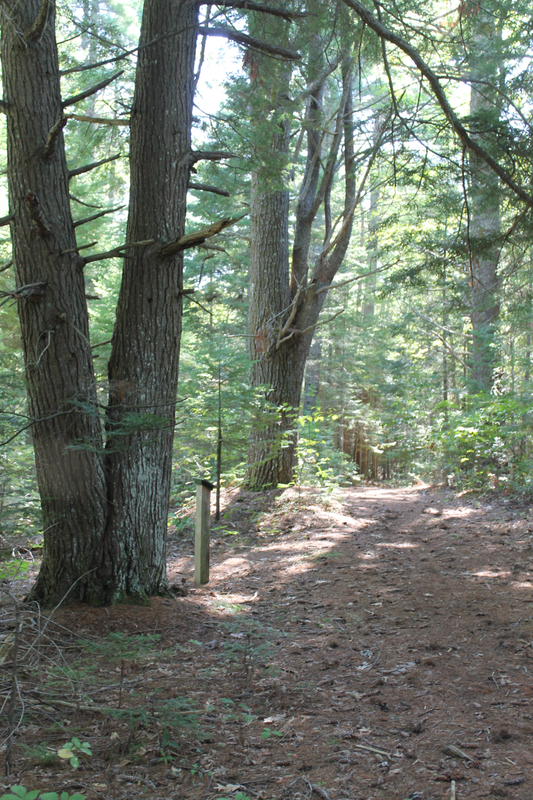 The trails at Leonard’s Mills wind througha typical Maine forest of mixed hardwoods and conifers. 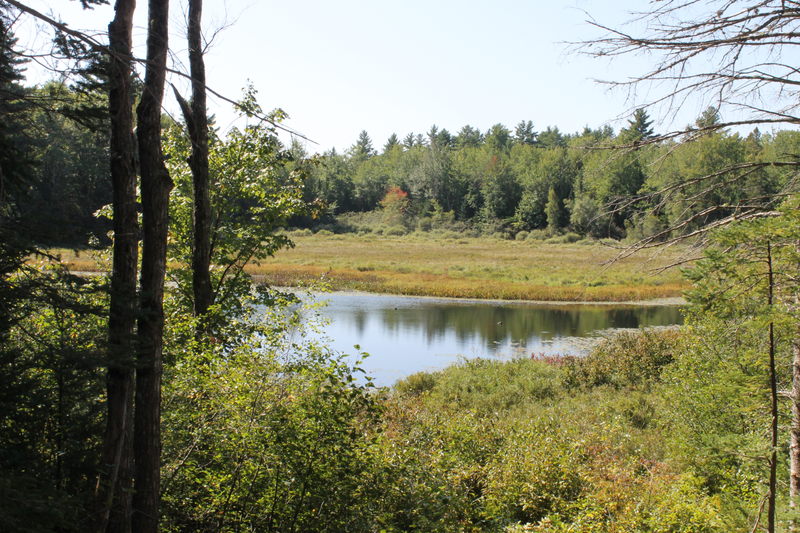 Such mixed forests are full of life and provide diverse habitat for birds and mammals. Each day the trails can be different, so come often. 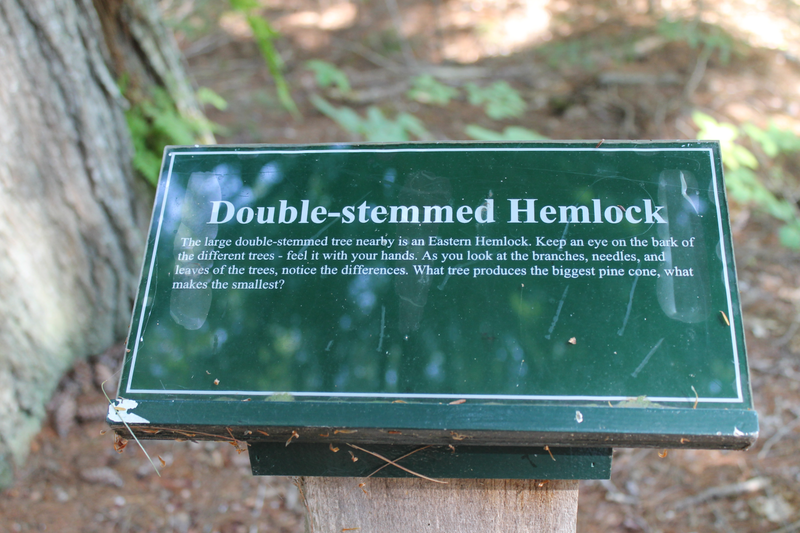 Trail 1: Nature Trail – 30 minutes – Moderate trail along Blackman Stream with interpretive nature signs. 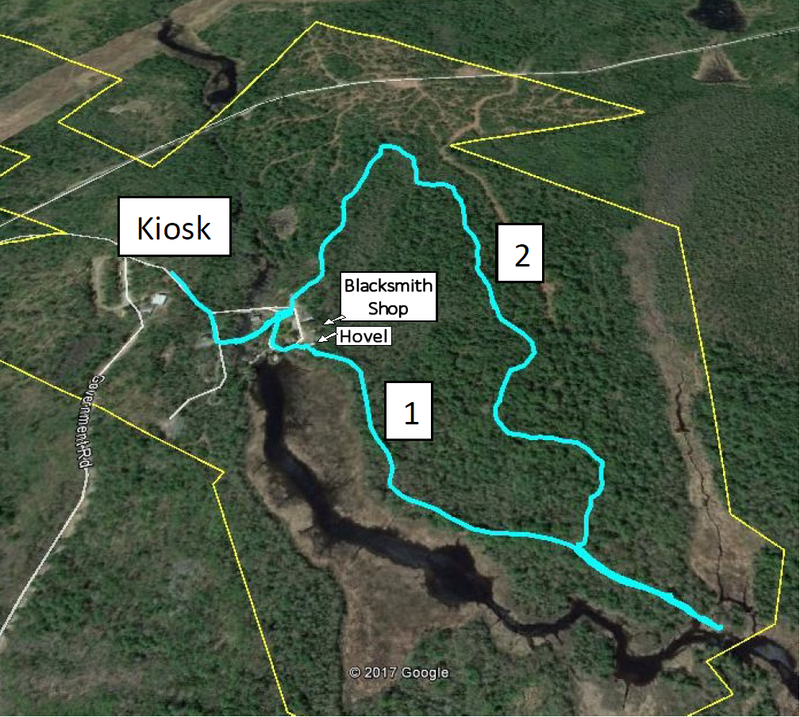 Trail begins near the blacksmith shop hovel. 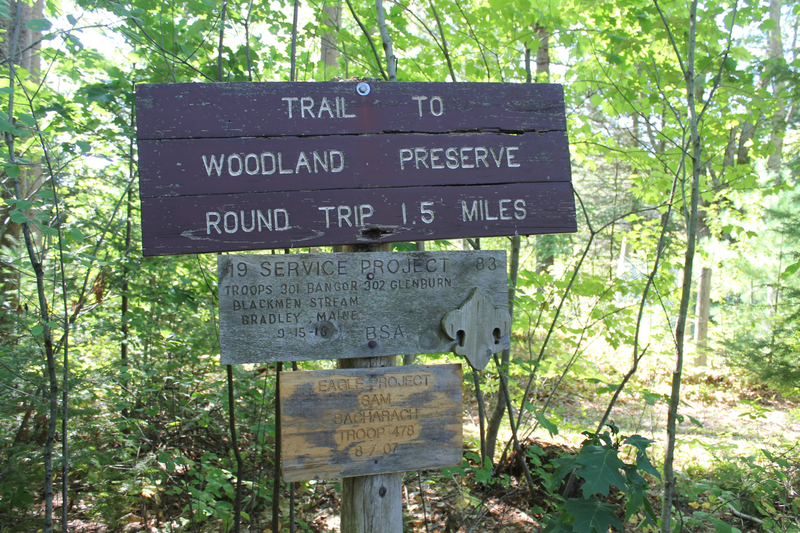 This wide trail is ideal for snow shoeing or cross country skiing. 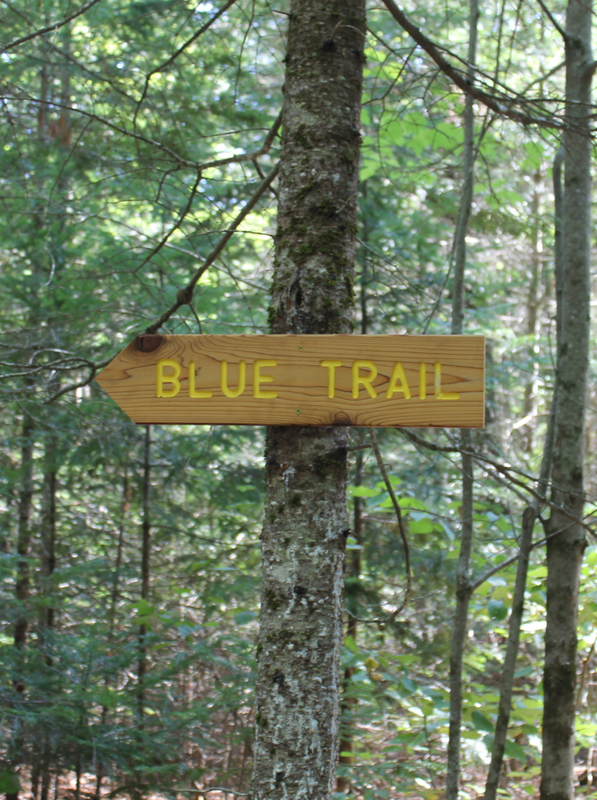 Trail 2: Blue Trail – 60 minutes – More challenging trail through old growth forest. Trail branches off Nature Trail and ends near the bean pit area. Marked with blue blazes.